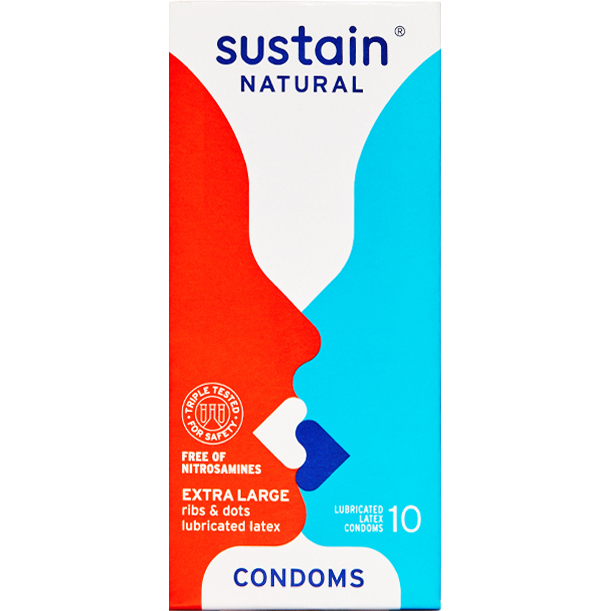 Sustain Extra Large condom is their biggest size yet. Bonus: the Extra Large also has a ribs and dots texture for extra stimulation. Lubricated inside and out.